Fill out the contact form on this page now. 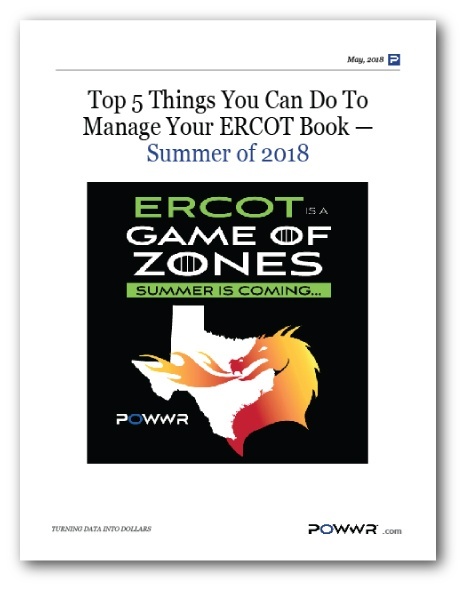 Your ERCOT Book is Subject to Extremely High Prices This Summer. With the recent ERCOT bulletin stating that generation reserves for this Summer may be very thin because of unit retirements, the ERCOT forward curve has increased over the past few weeks, especially the August contract. Combine that with the $1500+ Real-Time (RT) prices and $600 Day Ahead Market (DAM) prices a few weeks ago in the Houston Load Zone, and one can well understand why Supply Managers with ERCOT load are sleeping less sound. Why NOT relying on the Day-Ahead Market is a good idea! Why modifying your risk policy to allow for bilateral hedging can maximize maneuverability in times of unexpected load increases. Why you should not let the high price of the August contract dissuade you from covering your summer load in advance.